This past weekend might’ve been the most intriguing set of meets that we’ve seen all season. FOUR of the six competitions featured upset winners, including the unquestioned No. 2 team in the country, Stanford, going down. Before we get to everything that happened, we need to first give a shout out to the now back-to-back-to-back American Cup champion, Yul Moldauer. The Sooner narrowly (and I mean narrowly: 85.932 to 85.931) edged out former Michigan Wolverine, Sam Mikulak. Undoubtedly, the Oklahoma senior has his sights set on Tokyo and this win was just one step closer to achieving that goal. The Fighting Illini made the biggest wave this weekend, taking down not just No. 2 Stanford, but No. 5 Minnesota as well. Not only does this beg the question of who is the second-best team in the NCAA, it sets the stage for quite the regular season meet in two weeks. The Illini will travel to Happy Valley for a battle with Penn State and a strong Michiganteam. With Illinois seemingly settling into a groove here just past the halfway point, it will be interesting to see whether the Wolverines (or Nittany Lions) have the goods to step up and take down the now B1G favorites. It looks like our first season of crowning a B1G regular season champion will be an interesting one. Whatever Ohio State did during their month-long respite from competition worked miraculously well — the Buckeyes came charging back from a calamitous start to their season to top their season-high by 10 points and upset rival Penn State 413.15-409.0. The Buckeyes were consistent throughout, scoring above 68 on every event besides rings (where they weren’t far from 68). Penn State was mostly solid but forfeited their typical advantage on pommel horse, scoring just a 64.85. That was just a tenth and a half from a season-low for the Nittany Lions, and a lot of it had to do with Stephen Nedoroscik’s 13.05, which was about two points less than his usual. Had PSU hit their three-score average of 68.15, they would have been less than a point back from the Buckeyes. Ohio State, however, looked determined from the beginning to make a statement, to insert themselves back into a dialogue from which they’ve been notably absent. They hit season-highs on floor, horse, rings, p-bars and high bar. That’s quite a way to bounce back. That said, many a skeptic would scratch their head at such a rebound. Can a team transform themselves so much in a single month? High bar’s season-high, for example, was over three and a half points greater than their next-best score.  So is 67.75 a fair portrayal of OSU’s high bar potential? It could be. Dexter Roettker turned an 11.45 into a 13.45, Max Andryuhschenko an 11.85 into 14.05. There’s the difference. And while your writer could opine on the judging, better to just refer you, reader, to last week’s statement on that matter — because it isn’t just Ohio. Earning titles for the Buckeyes were Alec Yoder on horse, Andryuhschenko on rings, Alex Wilson on vault and Jesse Tyndall on p-bars. Penn State’s Sam Zakutney earned titles on floor and high bar. He also put up a solid all-around performance, scoring an 83 flat. Ohio State is home against Minnesota this weekend in a crucial meet for both teams. Ohio will look to solidify their comeback, and Minnesota will aim to bounce back from a disappointing showing against Illinois. Everybody had a good feeling that this would be the meet of the weekend, and it didn’t disappoint one bit. Competing in front of a home crowd in Champaign, Illinois was able to complete the upset, defeating both No. 2 Stanford and No. 5 Minnesota. It surely was an impressive afternoon for the Illini who kept consistent pressure on both of their opponents right from the start. All-in-all, Illinois was forced to count just two scores below a 12.75. The headline performance came from newly-minted Nissen Emery Award finalist, Alex Diab (B1G Gymnast of the Week). The senior snagged two event titles (FX and SR) along with a runner-up finish on VT. He made a little bit of history as well, setting the new Illinois record on rings with this 15.2. WOW!! 🔥🔥@alex_diab10 with an #Illini program-record 15.200 on rings! Another notable gymnast was freshman Hamish Carter. Although he competed on just two events, he made the two count with a 14.1 on FX and a 14.2 on HB. The British Senior National Team member just might be the difference between Illinois being a good team or a great team. Other event titles for Illinois came from Michael Paradise who continues his tear on PH and freshman Clay Stephens on PB. Second isn’t where the Cardinal wanted to finish on Saturday, but they really should be commended for competing tough after a disastrous start to the meet on PH. Despite three falls, the Cardinal was able to pull things together and still come within a point-and-a-half of defeating Illinois. It was PB and HB in particular where Stanford brought the fire, registering six top-five finishes between the two events. Ryan Sheppard took home the PB crown while freshman Brody Malone showed out on HB. Although Malone didn’t compete all-around this weekend, you’d be hard-pressed to find an all-arounder outside of Yul Moldauer that I’d rather have on my team at the moment. It wasn’t the day that Minnesota envisioned on Saturday. Despite the third place team finish, Shane Wiskus continued to show that he’s one of the nation’s top all-arounders by posting an 83.75 and doing everything he could to propel his team forward. Shane Wiskus‘s all-around score of 83.750 sets a new career high and is currently the fourth-best score in the nation. He also set a new career mark on high bar with a 14.250! After weeks of being considered one of the weakest teams in the Big Ten, Iowa shocked everyone, upsetting Nebraska at home. Nebraska came into this meet on a hot streak, recently beating both Illinois and Minnesota at home. Few believed the Hawkeyes had what it took to grab a highly-coveted conference win. This statement victory from Iowa proves the parity amongst Big Ten teams is unlike anything we’ve seen in quite some time. Iowa cruised through this meet earning season high totals on their first five events before cooling off on high bar. This team was knocking out sets, getting significant contributions from the entire roster. Bennet Huang (14.60) and Andrew Herrador (14.20) lit the fire on floor where they both scored 14+ to take second and third, respectively, on the event. The Hawkeyes have struggled this season on pommel horse but were able to turn that narrative around. All five of their scores were above the 13 mark and Kevin Johnson showed what he can do, posting a 14.00 to take the event title. While typically a good high bar team, Iowa ran out of gas by the time they got there. Their 63.50 was well off their season high of 66.70. This could tell us that Iowa’s ceiling is even higher than the 406.70 they scored on Saturday. The Cornhuskers found themselves suffering their second Big Ten defeat on the road this year. Definitely a setback for this team, but the meet was far from a disaster. Their 403.55 was still eight points higher than their season low. Pommel horse is what really hurt Nebraska as they had three scores in the 12’s to put up a 64.50. This is unfortunate considering they finally turned things around on rings where they scored a season high 67.650. The Mids started their two-meet weekend with a trip to Virginia where they took down the Tribe. Navy was lighting up the scoreboard earlier this season but the fireworks came to an abrupt halt when they struggled a week ago at Penn State. A solid competition got the Midshipmen back over the 400 mark ever so slightly this past Friday. The main takeaway from this competition is that Navy is a great high bar team. Ben Provost (13.85), Cash Buske (13.85) and Ryan McVay (13.60) took the top three spots en route to a team total of 66.70 on the event. Navy is now ranked No. 4 in the country on high bar. Take on a service academy on the road and you’d best come prepared. It seems like any time that Navy/Army/Air Force compete at home, there’s a 99% win percentage. While that’s an exaggeration, Air Force continued the trend by upsetting the Black Knights in Colorado. The elder statesman of the group, Lukas Texeira, led the way for the Falcons with a trio of top-five finishes, including runner-up on SR and an event title on HB. That was enough to make the senior the MPSF Gymnast of the Week. Air Force really got the job done on pipe compared to their competitive counterpart. Their 4.5 point advantage on that event proved to be the difference in this one. Other Falcon winners were Scott McMurray on PH, Frankie Valentin on SR and Allen Shadan on PB. Save for a season-low on HB, it was a fairly ho-hum day. In classic fashion, freshman Matthew Davis (79.95) and Cole Casanova (78.95) went 1-2 in the all-around with Davis tacking on FX and VT titles as well. A double-header weekend proved too much for Navy to handle — after scoring 400 flat on Friday, Navy fell more than 10 points two days later. They still managed to get a win, beating Springfield 387.9-383.05. They also claimed individual titles on every event. Earning titles for Navy were Lucas Beltran on floor, David Toussaint on horse, Christian Correale on rings, Beltran on vault, Max Gerber on p-bars and Ben Provost on high bar. Although Springfield didn’t have any individual titles, they did beat Navy as a team on rings and p-bars. Stephen Lewis (ECAC Gymnast of the Week) also had another solid day, scoring a 79.25 in the all-around.